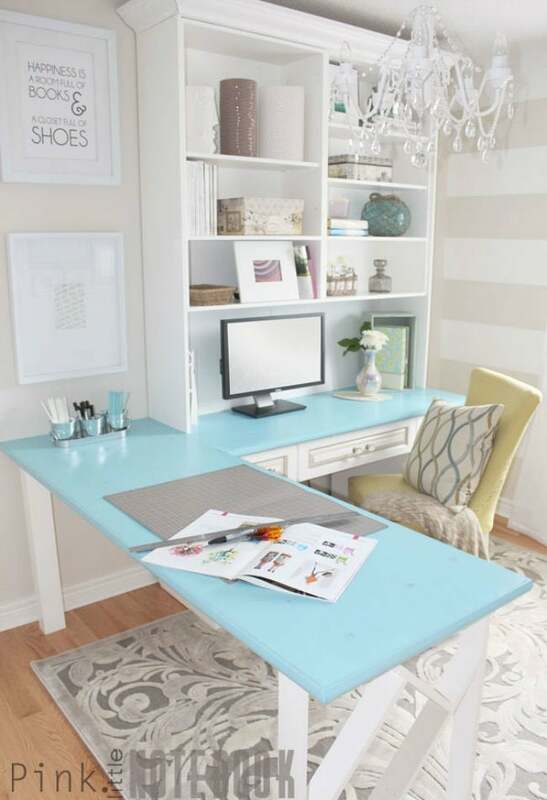 See how this crafty blogger transformed a secondhand desk into a bright statement piece for her refreshed home office. 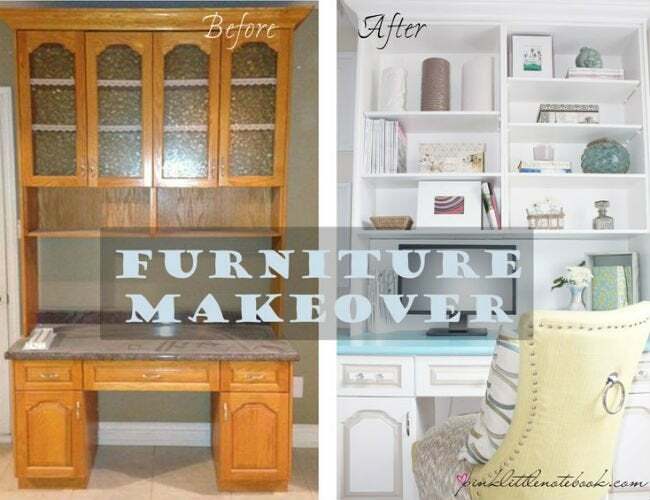 After searching with no avail for the perfect desk for her updated home office, Sabrina of Pink Little Notebook decided to hunt for a secondhand piece that she could repurpose instead. Keep reading to see how she put together this bright and modern build. First, Sabrina cleaned and dismantled the found desk so that it was ripe for repurposing. She then sanded the entire unit with her hand sander until all the previous sheen was gone, and wiped away any remaining dust. She primed and painted everything in a bright white, and then added an accent color to the ridges of the cabinets to make them pop. Sabrina wanted to replace the laminate countertop that the desk came with—and she wanted to add an extension—so she bought two pieces of pine wood to serve as the tops. She treated the wood, let it dry, and then applied a blue stain. Finally, she created legs for the extension and assembled everything together for a show-stopping finish. 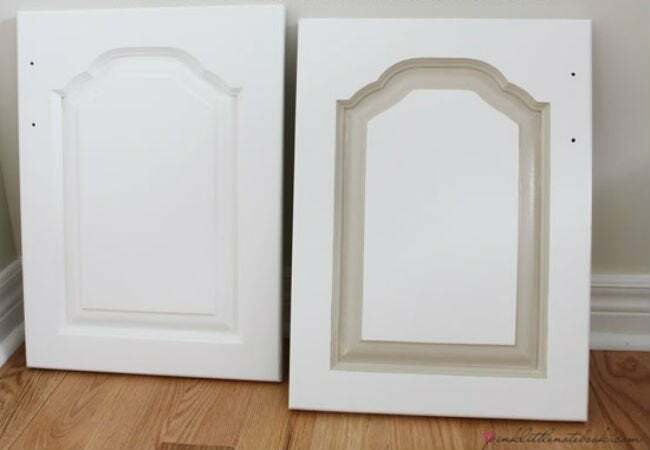 For the full step-by-step, and for more great DIY ideas, visit pinklittlenotebook.com.